Aim for Erie, Pennsylvania, and you’ll find a Great Lakes getaway with history to spare. “The Gem City” is a cool enough slogan for Erie, Pennsylvania, but we prefer “Don’t Give Up the Ship,” which has been the lakefront town’s unofficial motto since the War of 1812. Local legend goes like this: During the Battle of Lake Erie, naval captain wunderkind Oliver Hazard Perry commanded the flagship Lawrence, which flew a flag inscribed with the plucky phrase. But the British wrecked the Lawrence, so Perry transferred himself and his remaining crew to the flagship Niagara. And he brought the flag too, proving the idea to be more of a metaphor than a death wish. Two-hundred-odd years later, Erie still takes much of its personality from the War of 1812. Its nearby state park on a 3,200-acre Lake Erie peninsula called Presque Isle is packed with exhibits commemorating the conflict. But there are also miles of trails and beaches that can make you forget all of it—and maybe your inbox, too. Most budget hotel-goers fall into one of two camps: the corporate deal-hunter and the AirBnB-er. This quaint motel is caught somewhere in the middle. Opened in 1955, The Glass House Inn is an affordable Erie classic. If you’re used to chain hotels, then you’ll appreciate amenities like toiletries, a mini fridge, and an outdoor pool. If you’re cool with a little character, then you’ll like the screen doors, office dog (named Sammie), and real door keys, just like in the olden days. Innkeepers Tim and Laura Merryman are third-generation owners and through the years they’ve made updates to bring the inn into the 21st century while preserving its Eisenhower-era charm. There are diners aplenty in Erie that cater to the summertime crowd, including the largest and arguably most popular: Sara’s Restaurant. But most of these have seasonal hours, and some close up completely during those Lake Effect winters. So if you’re around off-season, grab a NY-style slice at Stevo’s Pizza (next door to Sara’s) and sneak through a nearby forested walkway to watch the sunset over Lake Erie. Farther inland, there’s a new eatery that’s worth the drive: Federal Hill Smokehouse, where they smoke their own meats; fix house sides and sauces (try the mustard vinegar); and bake a mean peach cobbler. After dinner, visit the Brewerie at Union Station, housed in Erie’s original Art Deco–style train station. The brewpub was the first of its kind in town when it opened in 2006, and now produces six permanent beers and a seasonal roster including October’s Vanilla Coffee Porter. They also carry regional brews (our favorite was Erie Brewing Co.‘s Railbender Ale, a well-crafted Scottish-style ale with a malty but refreshing flavor). And the airy space, with its rotunda and original ticket and baggage check counters, is a trip back in time. For breakfast, try The Breakfast Place, Erie’s favorite un-Googleable toast-and-eggs diner. 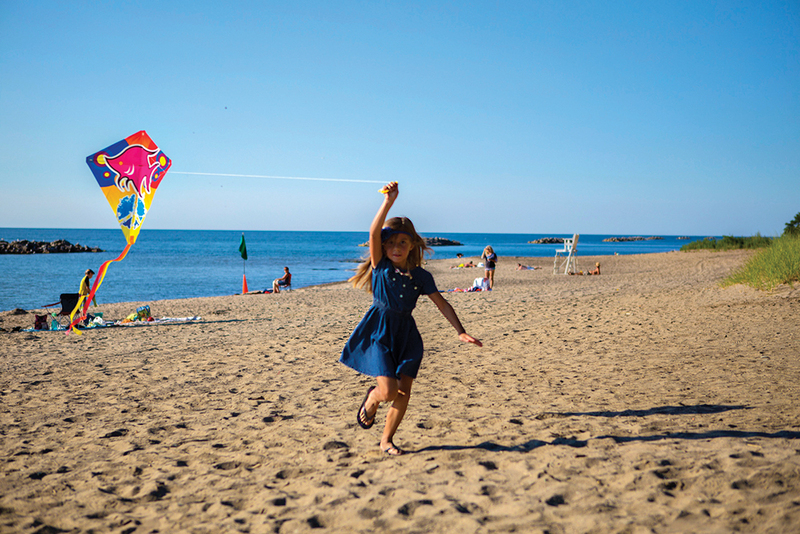 Presque Isle State Park is practically synonymous with Erie, and is a destination unto itself. 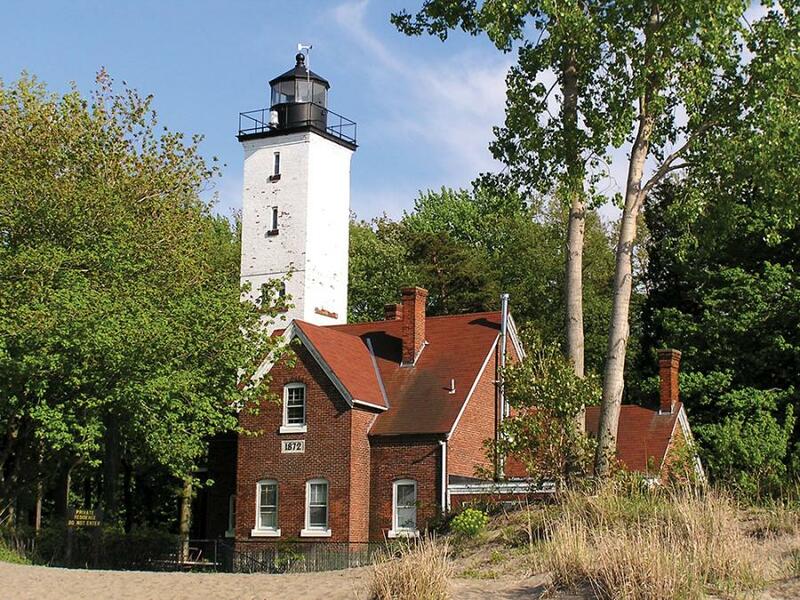 You could spend days hiking the trails, like the Sidewalk Trail, a narrow concrete path that bisects the marshy peninsula from Misery Bay up to the Presque Isle Lighthouse, which you can climb. 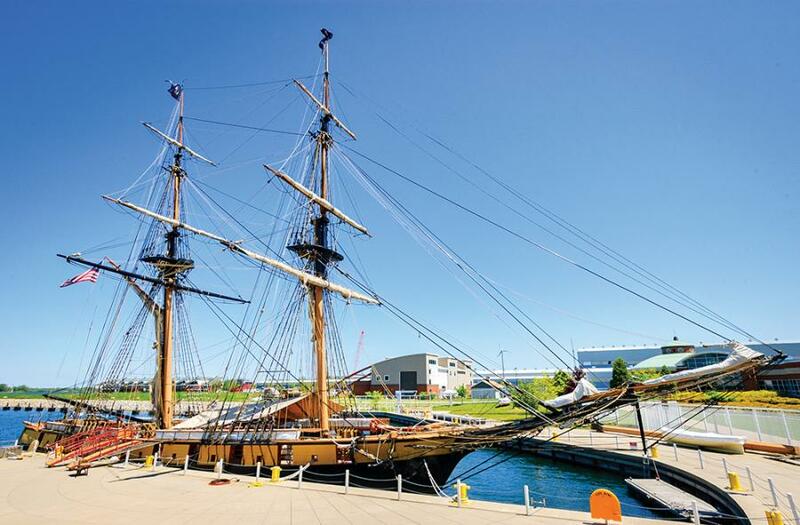 Watch for Great Blue Herons and get up close with early-American history: Check the schedule online at the Maritime Museum for a chance to see a replica of the flagship Niagara, docked right in Presque Isle Bay. The Lake Erie region is a destination for wine and beer lovers alike, and everyone but a card-carrying teetotaler will find something to imbibe. The more established industry is wine, and the area’s approximately 14,000 acres of vineyards help make Pennsylvania the nation’s fifth largest grape grower. Peg your visit to November’s Harvest Celebration Weekends (November 3–5 or 10–12) so you can choose from six local wineries to tour and sample. And like the rest of the country, Erie discovered craft beer in the early 2000s (though there have been breweries in Erie since before Erie was a thing). Follow the Lake Erie Ale Trail to visit nearly a dozen venues around town and beyond, from the Lake Erie shoreline down to Titusville, Pennsylvania. And don’t miss Erie Craft Beer Week, November 12–18.